Q: How long will you honor your estimates? A: 100% workmanship warranty, if there is an issue with the corners leaking or and end cap leaking etc. we will come out and fix it for free for a full year. 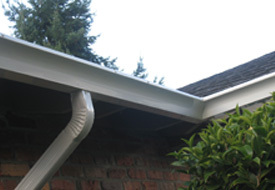 Q: Is JS Gutters a BBB Accredited Business? A: Yes! 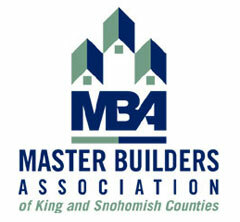 We are a BBB Accredited Business and are proud of our A+ rating! Q: How large is your company? 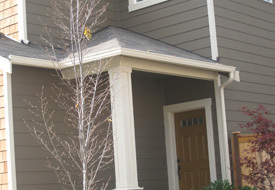 Q: What are seamless gutters, and what are their advantages? 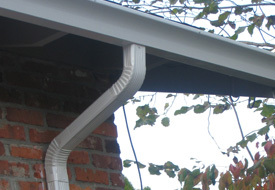 A: Pre-fab gutters (like those found in home improvement stores for the do it yourself type people), come in 10-foot sections. 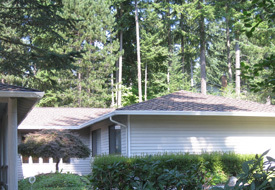 To cover the width of roofs, these sections must be screwed together to create enough length. 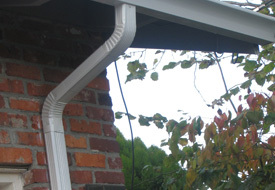 This forms seams where these sections connect; these seams catch leaves, debris, and ice, forming dams in your gutters and preventing them from draining freely. 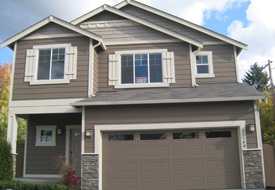 They also create backups during heavy water flow, and are highly prone to leaks – which can damage walls and create foundation problems including erosion and basement damage. 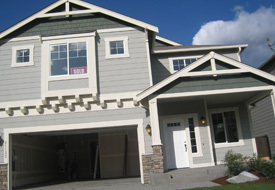 Their stitched-together “scars” also reduce the attractiveness of your home. 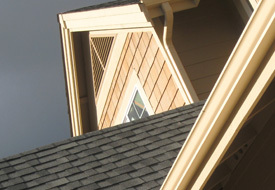 Seamless gutters are cut on-site from 500-foot rolls of material, which allow us to match roof sections precisely from edge to edge. This effectively eliminates all of the problems mentioned above. 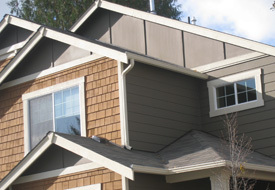 Q: How are seamless gutters connected to the building? 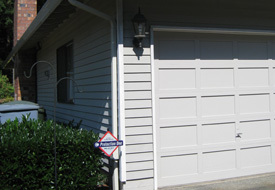 A: We use hidden no-rust hangers that are fastened with screws. 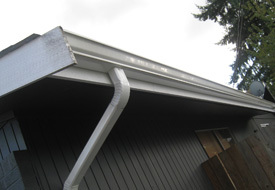 This will allow your gutters to expand and contract in temperature changes without loosening the installation. It also makes for a much more attractive look than the old-fashioned gutter nails. The nail attachment is available if preferred as well. 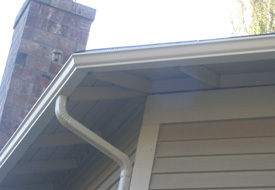 Q: What gutter and downspout sizes do you offer? 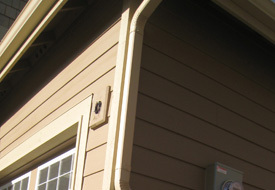 A: For homes, we typically use 5″ gutters and 2″x3″ downspouts. 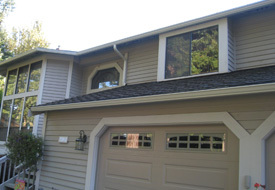 For larger roofs and steep pitch lines, we may go to 6″ gutters and 3″x4″ downspouts. 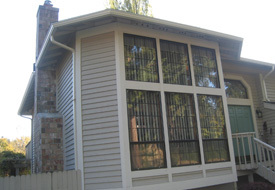 For commercial buildings, we use 6″ gutters and 3″x4″ downspouts. 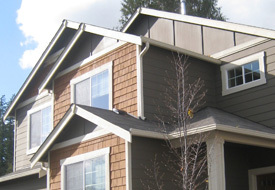 Q: If I want copper gutters, will that cost more than aluminum? A: Yes. 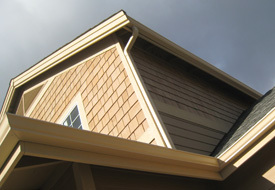 Copper material is more expensive than aluminum, and copper gutters require extra time to install properly. 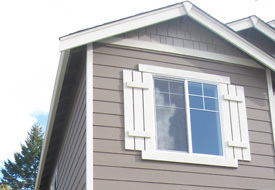 However the trade off is a very long lasting and great looking gutter that is a must to match certain looks on some custom homes. 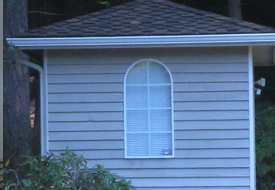 Q: Why shouldn’t I just opt for Do-It-Yourself gutter installation? A: While you may think you are saving money, you are actually putting your health and finances at risk, and will almost certainly harm the outside beauty of your home. 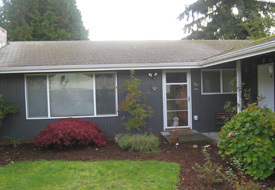 The costs involved in just procuring the equipment needed to start this home project, aren’t cheep. Ladders, tie off ropes, hangers, and tools, will more than likely total in excess of $400-$500, unless you decide that an extremely cheep ladder will be safe for you to work on. Then comes the actual labor. Hanging out over the end of ladders, standing on your roof leaning over the edge, and positioning your ladder safely are just some of the tasks. You also need to consider the attractiveness of your building’s exterior when your do-it-yourself installation is completed. The odds are that they won’t hang straight. And the lighter gauge materials won’t look as good (or last as long) as the materials we use.